Ohio State could probably find an open date if you changed your name to Georgia Southern, although it seems that they prefer playing small Ohio schools that can take a bus ride to Columbus. Maybe this is only interesting to @Nimreitz , but Army hired the Georgia Southern coach this week. If Urban had his way they would play the 8 worst teams in the MAC, 3 FCS schools and a less than 8 win Michigan squad/next best altervative if more than 8 wins for UM. Then again so would every coach, lol. Would love to see ND/UGA. I think playing SEC schools is imperative if we want to keep stealing elite guys from down south (continuing to loosen admission standards wouldn't hurt either). If this was our previous AD we probably would schedule Vandy, Arkansas, etc. I think Swarbrick is going to swing for Bama/Auburn/UGA/Florida/LSU, and I love that compared to seemingly the rest of the midwest watering down their schedules. ND goes after the same blue chip prospects as all of the SEC schools. It's more the sketchy JuCo guys that they aren't able to get admitted, but most of those don't pan out anyway. Don't think it's that big of a deal, IMO. I wouldn't hold your breath on Florida and LSU has a home and home with Wisconsin. So does Alabama. Some, not all. Not that it makes a difference because it's hard enough to convince some of those kids to come play in the cold weather with a lack of good looking heauxs. It's also more of keeping those kids at ND. I think around 10 5* kids have either decommitted or transferred since Kelly has been in charge. I'm not going to complain too much because Kelly has been the best coach we've had since Holtz relying on Tommy Rees 75% of the time, but we would be in a lot better shape with Ronald Darby, Tee Shephard, Deontay Greenberry, Aaron Lynch, etc. I 'd prefer an elite tier SEC school(s). If we schedule Arkansas, Vandy, or the Mississippi schools I think we would be far better served just keeping MSU or UM on the schedule and I think Swarbrick sees it the same way. I guess we will see, but I'm excited. Kelly, or the next guy better start making some plays so we look competitive. 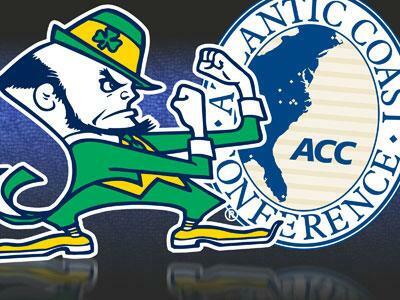 ACC football schedule should get released this afternoon. Not even interesting to me. Last edited by BigE; 10-21-2014 at 01:46 PM.